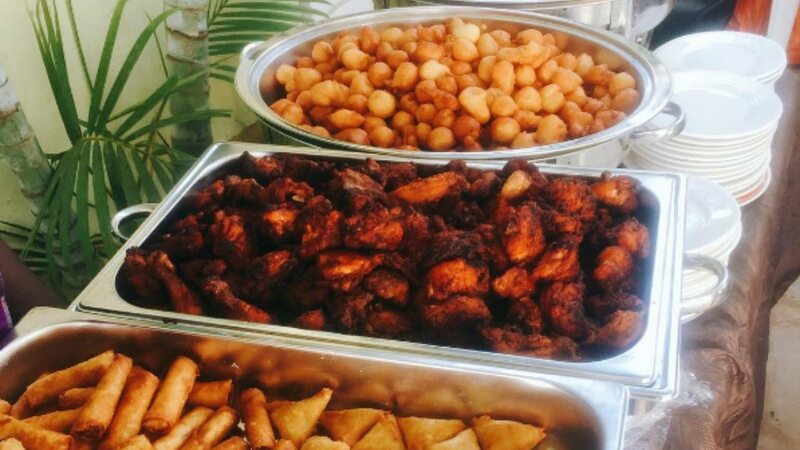 A Nigerian party without finger foods is an incomplete one. Finger foods are popularly known as small chops in Nigeria. They serve as appetizers, preparing the palates for the main dish. Nigerian finger foods/small chops can also be eaten as a stand-alone snack. They range from meaty dishes like gizdodo to pastry foods like sausage rolls and sweet snacks like doughnuts or chin-chin. We have compiled 10 of the most delicious Nigerian finger foods people around the world are missing out on. 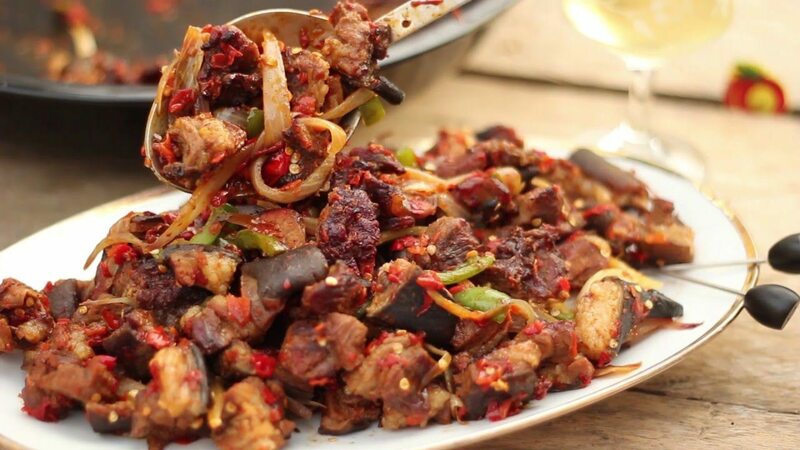 Asun is a spicy goat meat that is particularly served at parties. Asun has a distinct aroma, thanks to the goat flavour that could wake you up from sleep if it was being cooked in your neighbourhood. The goat is usually grilled in an open barbecue and eventually chopped to tiny bits of deliciousness. In Nigeria, night time is the perfect time for suya. Made popular by mallams of northern Nigeria, this beef kebab can be seen sold in various parts of a street. They are cheap and often sold in newspaper wraps alongside side fresh red onions and a special spice blend called yaji. The yaji gives it a distinct aroma/taste that differentiates it from other basic peppered grilled meat. Suya has also evolved to be used as a pizza topping in some restaurants as well as a filling for dishes that require meat fillings. Not all Nigerian small chops originated in the west African country. One of such is Samosa which originated in the middle east. It is a fried thin film of dough which contains goodies like meat, garnished with onions, peppers, potatoes and some vegetables. It is also served at parties along side puff-puff, spring rolls and spicy grilled chicken. It is pretty much a fried Nigerian meat pie but with a thinner layer of dough. Nigerians love their meat and even more when it is fried/grilled and peppered. Peppered snails are not the most popular, that is, unlike most of these small chops which can be found being sold on street corners, peppered snails are rarely seen. This, by no means, diminishes Nigerian’s love for this spicy and crunchy food. Spring rolls are part of the conventional small chops package. Just like samosa, they did not originate in Nigeria, rather they are an Asian appetizer which Nigerians have come to love and feature at virtually all parties. Gizdodo is a combination of two delicious Nigerian foods– gizzard and dodo (fried plantain) which are delicious enough on their own. The gizzard and plantain are fried separately before sauteed together in a peppered sauce. Nothing spells Y-U-M-M-Y as much as gizdodo (yes, not even those five letters). Meat pie is a tasty pastry dish made with a thick dough and meat and vegetable fillings. It’s easily one of the most popular comfort snacks in Nigeria. Often accompanied with ice cream or a chilled soft drink. There are also other equally tasty variations such as fish pie and chicken pie which are made the same way. This is a deep-fried snack made from basic baking ingredients like wheat flour, sugar, milk and so on. The conventional way to make this crunchy delight is to cut it into strips or cubes and deep fry although some might go the healthier way by baking it. This is a pastry food made of sausage baked in a roll of dough. It is originally a British snack which made its way to Nigeria. They are made in a way similar to meat pie, in fact, they can be referred to as the cousins of meat pie. They are often sold in close proximities at stores and eateries.